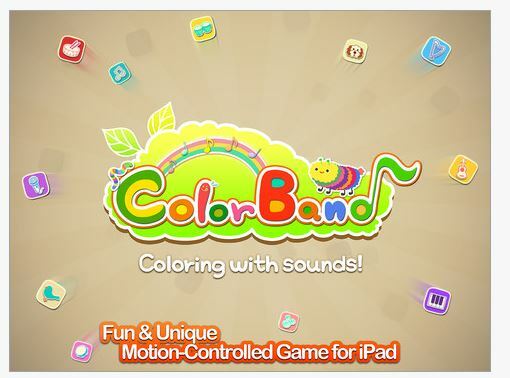 Color Band App, for iPad (free with in-app purchases) provides an interesting twist of technology to drawing with music. It Combine a drawing with crayons and music with the ability to play the music with your fingers as well as hands free by waving your hand over your drawing. This “new” technology (at least for me) looks a little like what is yet to come with iOS 7 and some of the switch activation features, one which activates buttons or selections on your iDevice by motion detected from your front facing camera – an absolutely WOW kind of technology coming soon (thanks Rick Z for your beta demo)! 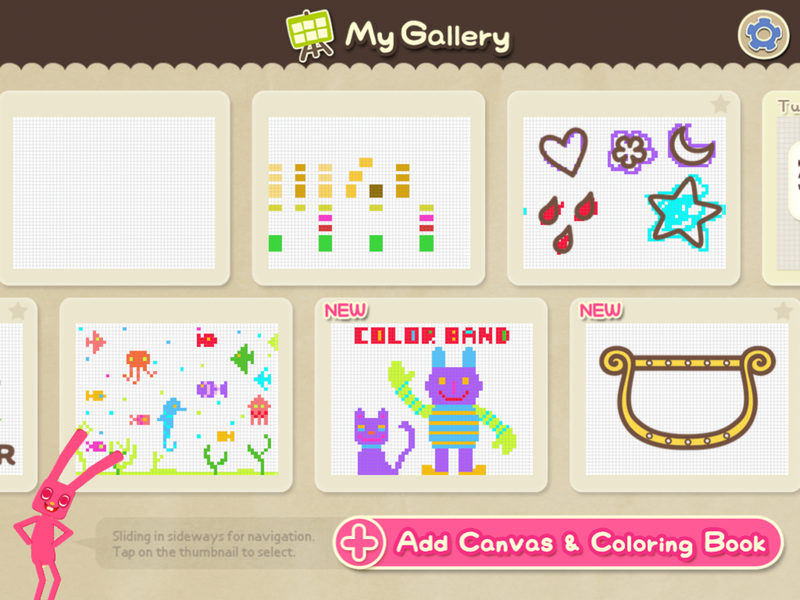 The app provides blank drawing pads or pictures to draw in using color and music palates. A drawing mode and a play mode provides the choice of interaction with your drawing. Productions can be saved in your “Gallery” to replay or erase and start all over again. A video demo and “how to play” instruction sheet is available in the apps setting to help get started but most of the tools are intuitive. Watching the video demonstration provides great information on how to get started. Additional palates are available as in app purchases which are somewhat expensive at .99 to 1.99 for a few additional pictures or tools. Other in app purchase options includes adding other instrument sets, an animal sound set or miscellaneous sound set that has everyday life sounds. Color Band app is an intriguing app providing drawing tools with sounds and interaction upon completion. I have not had a chance to trial this with students or kids, but the interactive qualities of this app invites participation, especially for those who are attuned to music. The potential for just drawing, creating basic shapes, letters and numbers or using as a cause and effect tool appears somewhat endless. I believe just playing with it opens the door to ideas of how camera detecting movement activation controls work. Now think about all those students or clients where direct access is challenged and a movement might result in control of your environment or selection on a device… just for that glimpse. This is a huge thumbs up app for me! Here’s to you Gail and your girls who asked for a movement sensed app… It is coming! This entry was posted in App Reviews, Apps for Special Needs, Cause and Effect apps, Drawing, iPad, Mobility Impairment, Motion Activation, Occupational Therapy, Special education, Special Needs, Visual Motor and tagged App Review, Drawing, iPad, occupational therapy, OT Apps. Bookmark the permalink.